And the Indiegogo campaign that will make it possible. Today I am launching an Indiegogo campaign to raise money in order to release my new album, a throwback to the electric sounds of 70s Miles Davis, combined with Indie Rock and Classical Minimalism, and a splash of World Music. My influences play an important part in this album and in this campaign. My love of modern literature, my fascination with Minimalist Classical music, and my Japanese-Canadian heritage are the main sources of inspiration for this album. But the musical concept as a whole is the use of lush textures and space to create an atmosphere that is meditative and minimalist, yet expressive. The band is Kenny Bibace on guitar, Andrew Boudreau on Fender Rhodes, Mark Nelson on drums, and myself on bass. The incredible Mireille Boily joins us as a guest vocalist on a few tracks. Multiple award-winning recording engineer and producer Paul Johnston will be mixing the album, and Avia Moore will be the designer. We are also playing live on February 5 in order to lauch the Indiegogo campaign. 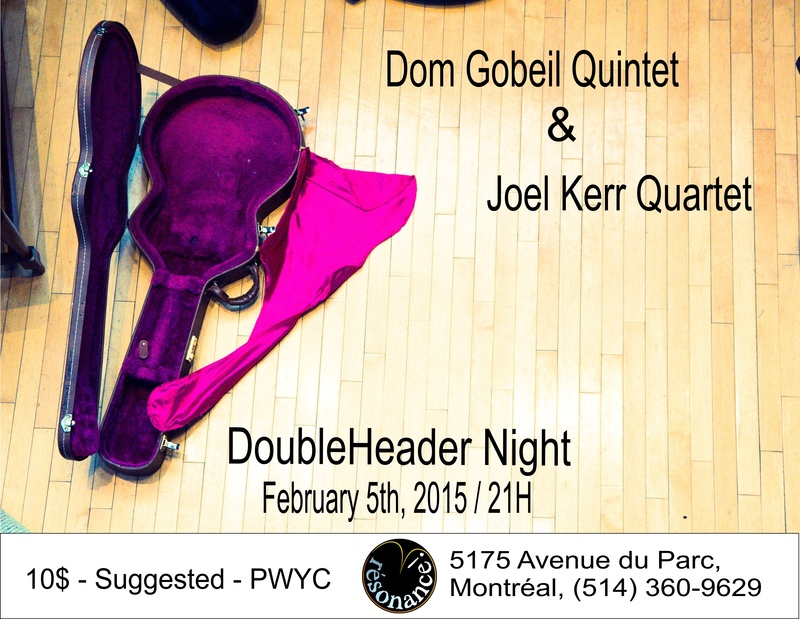 We will be splitting the bill with the Dominic Gobeil Quintet. Join us!